Laurie is a familiar face on Kuredu, having spent many, many holidays on the island with his wife Terri, everyone is always very happy to welcome this special couple back to their island home-away-from-home. An avid diver, Laurie is currently diving with Kuredu Prodivers for the 44th time! A font of knowledge on all of the dive sites, he knows them inside out and is a testament to the old adage that underwater there is always something new to discover, no matter how many times yo have been to the same dive site. Laurie likes to spend time looking at the intricacies of the reef and if any of you are fortunate enough to have ever been his dive buddy he will have pointed out the small critters hiding on the reef that often go unnoticed. 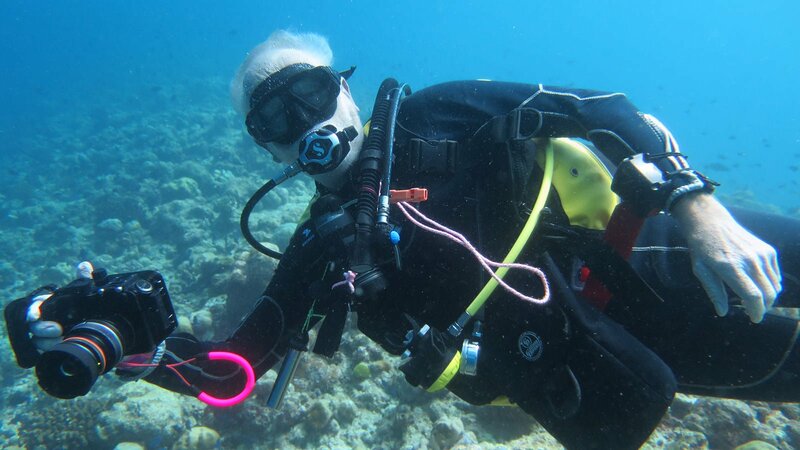 This particular trip was a very special one for Laurie, he did his 2000th dive! 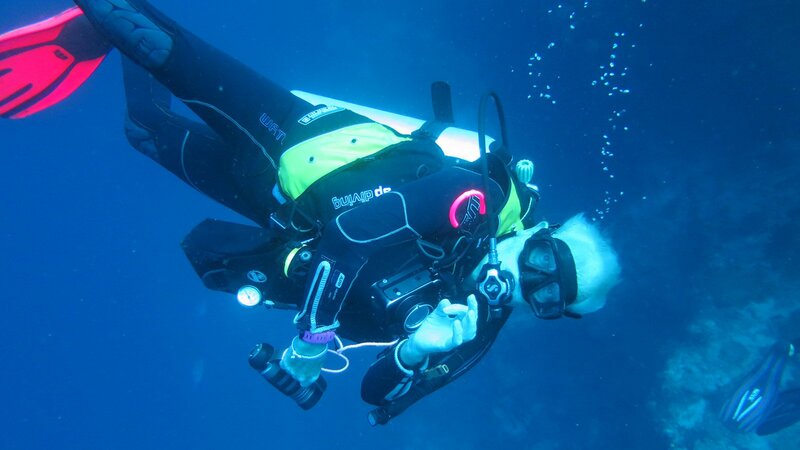 2000 dives is an incredible achievement and one only usually attained by those working in the dive industry. To put it into perspective, an instructor diving twice a day would have to work solidly every single day without a day off for almost three years to achieve that! In reality, it would take much longer as training dives in the lagoon don’t count and even dive instructors need a holiday sometimes! Laurie’s momentous dive was at Fushivaru Kandu on the underwater scooters with instructor Armin. As is usually the case with scooter dives in the channels of the Lhaviyani Atoll, it was thrilling, with plenty of grey reef sharks and eagle rays, very fitting for such a dive. The team surprised him with a special certificate to mark the occasion. Everyone at Prodivers would like to thank Laurie for visiting them again and again and wish him many more happy diving adventures.